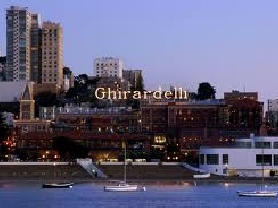 Our day starts in Ghirardelli Square with coffee, biscotti, a history of our original Army base – Fort Mason, the Golden Gate Bridge and Alcatraz. We’ll walk the nearby pier for great pictures of Alcatraz and the GG Bridge as well as the city’s most breathtaking skyline view! 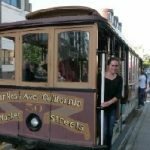 We’ll then learn of SF’s famous cable cars before our first sampling and presentation of local fresh crab. Then it’s off to SF’s famous sourdough spot for a tasting and history of the famous bread and a viewing of how it’s made! This will be followed by our most popular SF cocktail at a classic SF institution! 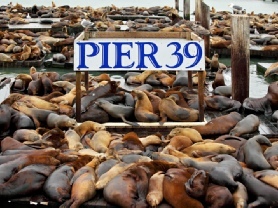 We’ll take a stroll through Pier 39 for photos of our famous sea lions and a dessert tasting from an SF local! You’ll also learn of how this, our most popular tourist destination, came to be and time to grab a souvenir! 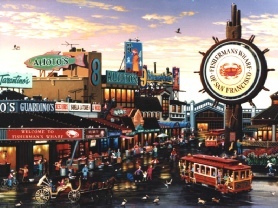 We’re then transported along the Embarcadero bay front 1950’s style to the Ferry Building where we’ll learn of it’s history, browse the tables of local artists and finish our day with loads of tastings from the best local produce in the area! 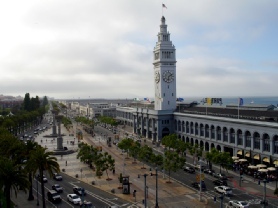 NOTE: This trip will end at The Ferry Building. 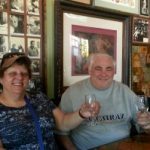 I would suggest heading to Alcatraz or a fantastic Ferry ride to Sausalito! Directions easily and gladly given. If preferred, you will be returned to the tour’s original point of origin. 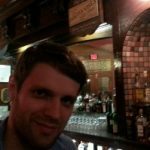 Celebrate The Real San Francisco with a native on A Q Trip! 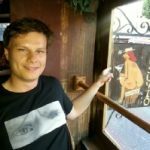 Fun, Exciting and Imaginative Tours! The BEST in the BAY!